When the world sits up and pays attention to a boxing fight, I pray that it becomes a good advert for the sport, which is often at the mercy of criticism from naysayers. Unfortunately, controversy shrouds the sport and always has done despite consistent attempts to keep it clean, and there was yet another example of this on Saturday night in Las Vegas. Fans from around the world witnessed a fairly one-sided affair when Kazakh Gennady Golovkin persistently stalked Mexican Saul Alvarez around the ring. 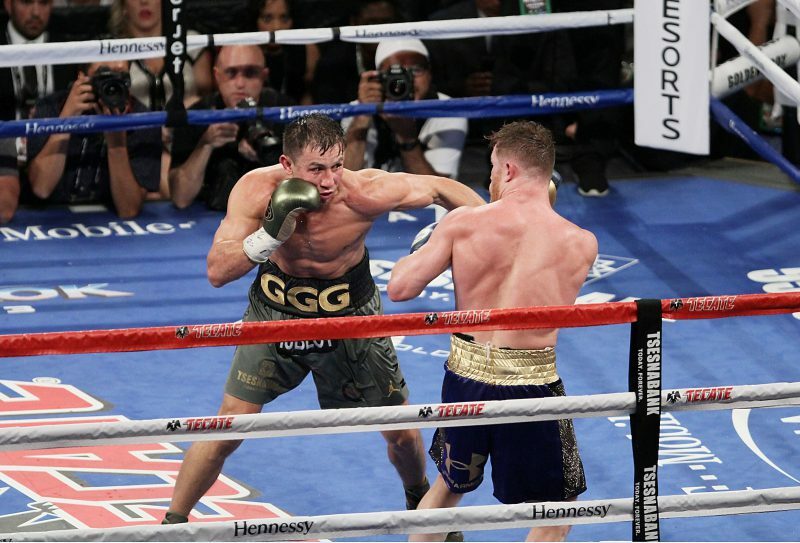 GGG forced the fight, pressing throughout, Canelo simply offered a few eye-catching shots on the backfoot occasionally, but not enough to swing many of the rounds his way. I was left a little disappointed with his effort and slightly perplexed at what exactly his game-plan was meant to be. Then came the decision…a draw. To add insult to injury, there was one particular judge – Adalaide Byrd – who scored it almost beyond belief. She has since made headlines worldwide for the outrageous judging that had Canelo winning 118-110! The American official is now facing calls to be suspended after her bizarre view of the Vegas fight. Most observers had Golovkin the deserved winner by a couple of rounds, at least, after the pair went to war in epic fashion. But there were audible gasps inside the T-Mobile Arena when Byrd scored Canelo the winner by ten rounds – ten rounds! – thus leading to understandable accusations of corruption. Byrd is an American judge who has a wealth of experience since been an official from 1997. She also officiates in MMA, and is the wife of Hall of Fame judge Robert Byrd. The Gennady Golovkin v Canelo Alvarez was the 442nd fight of her officiating career. When Joe Calzaghe fought Bernard Hopkins for The Ring Magazine light-heavyweight title in 2008, most observers had the Welshman a clear winner – even after a third-round knockdown. Judge Chuck Giampa scored the bout 116-111 in favour of Calzaghe, with Ted Gimza recording a slightly closer score of 115-112 verdict in favour of the Briton, whereas Adalaide Byrd logged the fight as 114-113 in favour of Hopkins! Over her 20-year career she has been ringside in a series of big fights throughout America, and is often used by Oscar De La Hoya’s Golden Boy Promotions. So, Golden Boy seem to particularly favour her judging and, with scores like that towards their star fighter, it’s no wonder why!